Your 3-hour program for your workplace aboard Adventuress includes optional learning stations in navigation, teamwork or appreciation of the natural marine environment taught by enthusiastic shipboard educators. 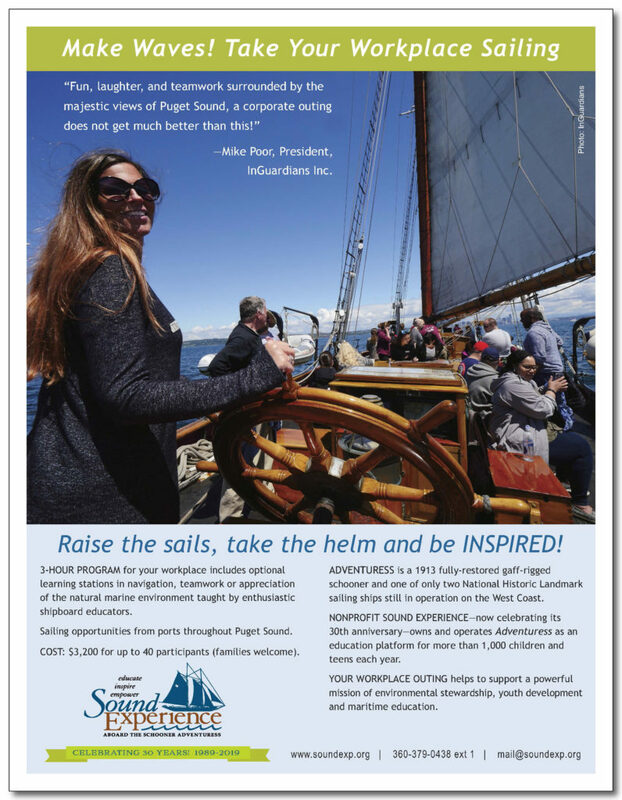 Sailing opportunities from ports throughout Puget Sound. The cost for a 3-hour sail is $3,200 for up to 40 participants (families welcome). Your workplace outing helps support a powerful mission of environmental stewardship, youth development and maritime education.